The calendar says it’s not even officially Spring yet, but when the warming weather causes rattlesnakes to come out of hibernation, it doesn’t matter what the date. It’s time to beware— especially in Arizona. A hospital in the Phoenix area with a toxicology referral center sees 50-75 rattlesnake bite patients annually. Of those, 5-10 people die from the bites. So far in 2019, two people have been treated for snake bite and have lived. The first was a Phoenix man who made medical history, but in a very painful way. Samuel Evans became the first patient treated with a new antivenom since its recent approval. Evans was trying to move a rattler from a hiking trail in the White Tank Mountains, when the pit viper bit his thumb. At the hospital, he was treated with CroFab antivenom, but developed a serious allergic reaction. As fate would have it, Evans became the first patient to be treated with the FDA approved alternative called Anavip. Luckily it worked! No allergic reaction this time. Anavip also could be effective in preventing the delayed bleeding that can occur after rattlesnake bites. Anavip isn’t cheap. Each vial costs $1,220 and the average dosage is expected to be around 16 vials. That total of around $20,000 might not sound so bad when it means saving a limb or even a life. Sources say it’s actually a lot less expensive than the older product. Antivenoms in general are very expensive. 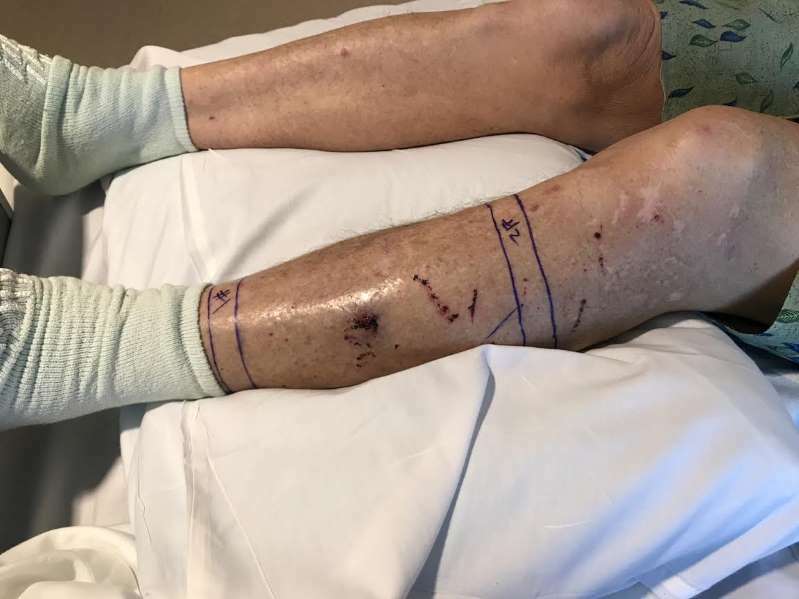 Just a week ago, a 75-year old man rode his bike for a half-hour to seek help after he was bitten by a rattlesnake while on the Apache Wash trail in Phoenix. Jim Watkins was on a bike ride with a friend when he lost momentum and fell off his bike beside the trail and into a bush. If that wasn’t bad enough, he was bitten by a rattlesnake! “It felt like a bee sting. And then as I looked down, I could see the snake was recoiling back up, but still vibrating his rattles. And so I pulled away,” Watkins said. Watkins, who was bit on his left calf, then rode with his friend for 30 minutes to get back to the trailhead. His friend called poison control right away to seek help. Their advice: "This is serious, you need to go to an emergency room.” Once he reached the nearest hospital, Watkins received three treatments of anti-venom – 12 vials in all – that thankfully counteracted the snake's venom and reduced the swelling. Most Arizona emergency departments and hospitals have anti-venom. But there's only a couple of hospitals that have medical toxicologists that specialize in this care. Both of these men were lucky! Anyone who gets bit by a rattlesnake should get anti-venom as soon as possible. Wherever the bite is, is where most of the damage is going to occur. And that means breakdown of muscle and skin, as well as a lot of edema and swelling. The most important factor in a rattlesnake bite is to consider how much venom is injected. In the warm deserts, rattlesnakes are most active from March through October. In the spring, they are active during daylight hours. As days become increasingly hot around early May, rattlesnakes become more active at night and spend the day in a spot of shade or a cool shelter. Don’t take a chance! Be vigilant and take precautions to be safe in snake country— whether that be in the desert or the woods.